So two things real quick. 2. I found out that Silhouette just came out with a new product, the Silhouette CAMEO (a 12″ cutting tool). This means that they are discontinuing the Silhouette SD and are selling the ones that are left for $175 while supplies last. SO, that’s a good deal ladies!!!!! To get this offer, you can use this code: TOGETHER until this Sunday, July 31, 2011. PS: All the things that go with it are still going to be offered for those of us who have the SD, but the actual machine will no longer be produced. You can also use that code to get 20% all of their products, including the new Starter Kits (excludes the download cards and machines). Now’s a good time to stock up on stuff. I have never heard of this before and it looks exciting! Can I ask – have you ever used a Cricut? Do you like this better? Have you reviewed this machine somewhere on your blog before? Would love to hear your thoughts before I buy! Thanks! I haven’t done an official review on it yet (I got it in time to do a little review on their temporary tattoo stuff). But, I have used it and will be sharing those projects soon. I like it because you can even use it to cut through things like fabric with heat transfer on it and all. It’s also all digitized, so you really don’t even have to buy the “shapes,etc.” to use for cutting if you use clip art, create your own works, etc. But, the ones they sell are very cheap in comparison to having to buy a cartridge for just one shape. 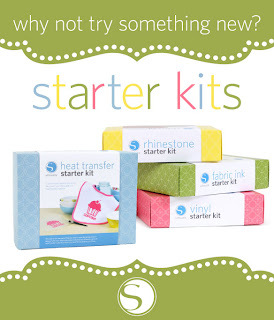 Their site has a lot of great info on it and a lot of other craft bloggers use the silhouette a lot. Hmmm…how big is the Silhouette SD? It doesn’t say on their site. I was just curious what the difference in size is. Congrats on the official site! Hi Sarah 🙂 The SD is 17″ long, so the new cameo is a lot more condensed which is great if you have a smaller work space. It has to be on a flat surface and all when in use. The SD box also states that you can cut from 1/4″ small to 8 inches wide and 10″ long, whereas on the newer one the website says “up to 12″ wide and 10 feet long.” So the cameo is just the new and improved version. 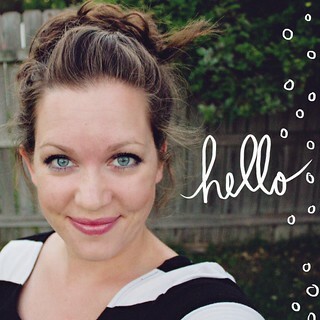 I just discovered your lovely blog. I look forward to popping by again for some inspiration! I’m just new into blogging this year & have put together a daily blog on design, fashion, food, travel and anything pretty.